What is Dragon Venom by IDL? Sick of "Dragon" Yourself to the Gym? Are you looking to increase your daily energy to be more productive? Is coffee yesterday's news for you? 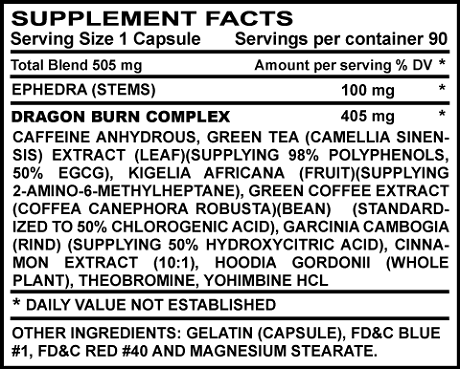 Introducing Dragon Venom by Innovative Diet Labs. Whether you are a bodybuilder preparing for your next show, an athlete looking to take your performance and your body to new heights, or you just want to look and feel better in life - Dragon Venom can be the supplement that helps you reach your goal. 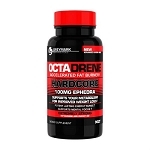 This hard hitting ephedra-based supplement contains a select blend of ingredients sourced from around the world. It's so powerful it could only have one name. Dragon Venom. WHO IS DRAGON VENOM IDEAL FOR? WHY IS IT EFFECTIVE? Think of your body as the world's most elite luxury vehicle - it's not too far of a stretch. Perfectly designed, your body is capable of amazing feats of strength, adaptation, and survival. A Ferrari is a Ferrari, no matter if it's rusting away in an old barn or tearing up the freeway. Whether you are knocking the rust off yours or you want to take your already immaculate machine to a new top speed, Dragon Venom can be the oil that makes your engine run with smooth, consistent power. Dragon Venom is driven by IDL's very own Dragon Burn Complex, a proprietary blend of several of the hottest phytochemicals designed with you in mind! WHAT ARE THE BENEFITS OF USING DRAGON VENOM? IDL has several years of experience formulating winning products. Dragon Venom's advanced formula was created to provide a calm balance to all the benefits of the best ingredients, giving you an exhilarating boost that handles with ease. One study performed on professional soccer players showed that when coupled with proper exercise, yohimbine led to decreased amounts of body fat when compared to the placebo. Another study done on a weight loss supplement containing yohimbine concluded that participants' demonstrated decreased perceived rate of exertion, meaning that their physical performance was improved, and they could push themselves harder. The same study as above also concluded that the participants had decreased appetite levels after taking the supplement. *Supplement that was studied also contained other weight loss ingredients. Naturally occurring amino acid found in foods like potatoes, pumpkins, milk, and meat. The study concluded that compared to the placebo subjects, patients taking the 5-HTP decreased daily calorie intake and reduced their body weight! Dragon Venom by Innovative Diet Labs is an excellent fat burning, energy amplifying supplement from a brand that you know and trust. 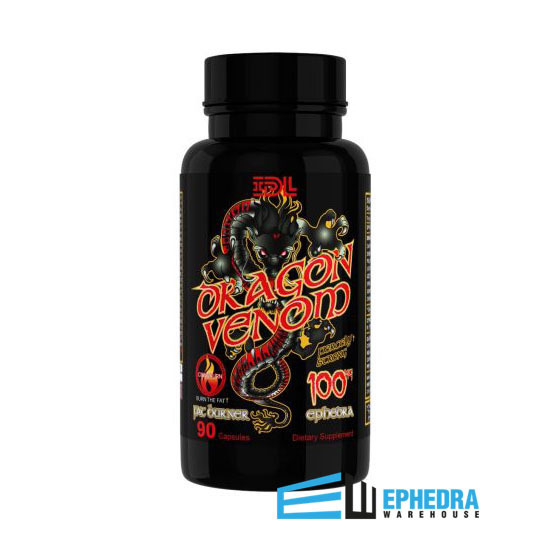 * If you’ve been pleased by any of Innovative Diet Labs’ other ephedra products, you haven’t seen anything until you’ve tried Dragon Venom. 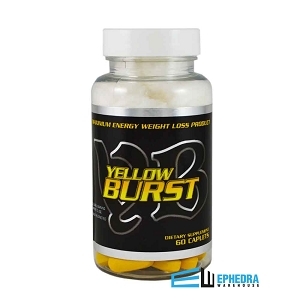 Offering you 100 mg of legit ephedra, this is going to become one of your favorite supplements for supporting a healthy weight loss along with giving yourself a boost with all the benefits of coffee plus more! If you’ve never tried an ephedra supplement before, drop us a line! We will be happy to help you find the right product. Want more information about Dragon Venom by Innovative Diet Labs? Email us. Ostojic SM. Yohimbine: the effects on body composition and exercise performance in soccer players. Res Sports Med. 2006 Oct-Dec:14(4):288-99. Alkahatib A, Seijo M, Larumbe E, Naclerio F. Acute effectiveness of a "fat-loss" product on substrate utilization, perception of hunger, mood state and rate of perceived exertion at rest and during exercise. J Int Soc Sports Nutr. 2015 Nov 25:12(44). Cangiano C, Laviano A, Del Ben M, Preziosa I, Angelico F, Cascino A, Rossi-Fanelli F. Effects of oral 5-hydroxy-tryptophan on energy intake and macronutrient selection in non-insulin dependent diabetic patients. Int J Obes Relat Metab Disord. 1998 Jul:22(7):648-54. 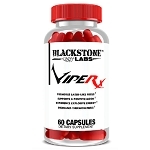 I have been taking Dragon Venom for 3 weeks and have experienced great results. I finally found a product that works. I use Dragon Venom for getting me through the night as a ride share driver. I am able to work a 10 hour shift without any issues. There's no nervous feelings while on it and no hard crash when it wears off. I will definitely buy again! !